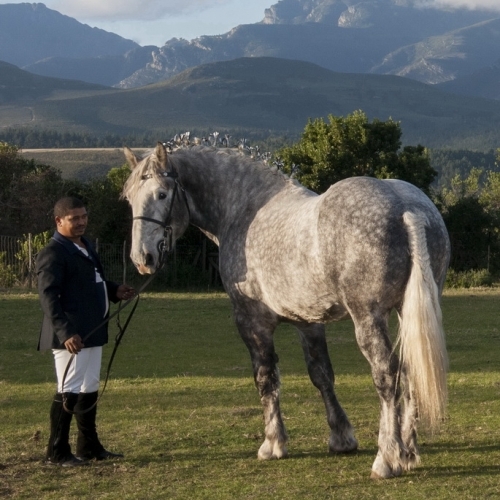 Outeniqua Moon’s home bred colt Shadowfax is the biggest colt ever bred in South Africa. 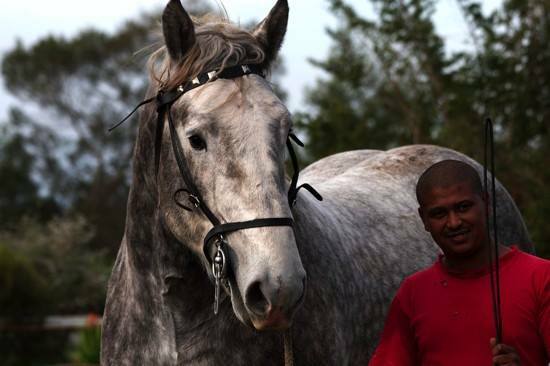 He is 4 years old and stands 18.3hh. 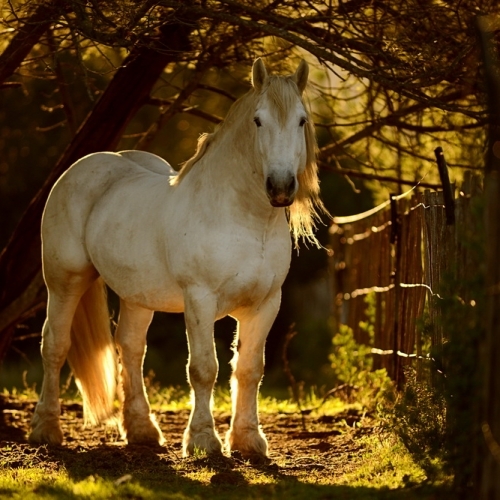 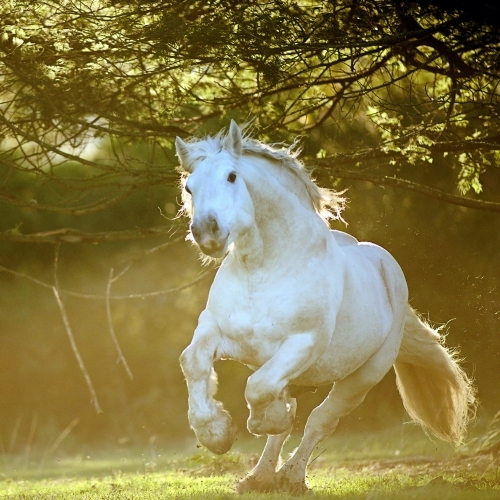 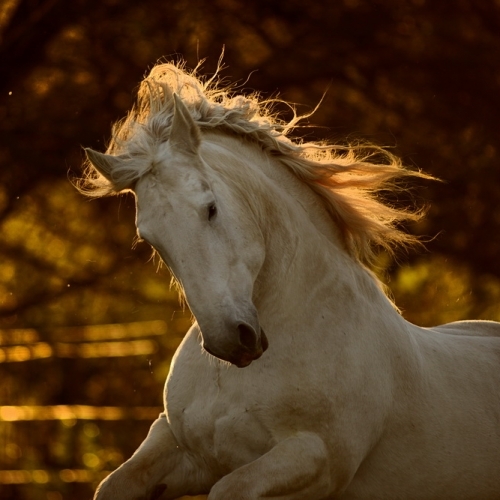 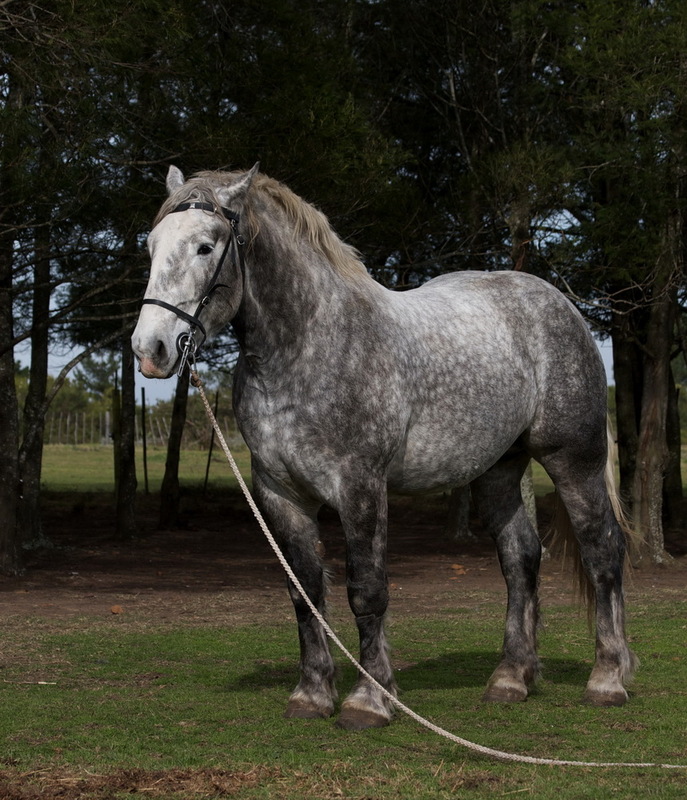 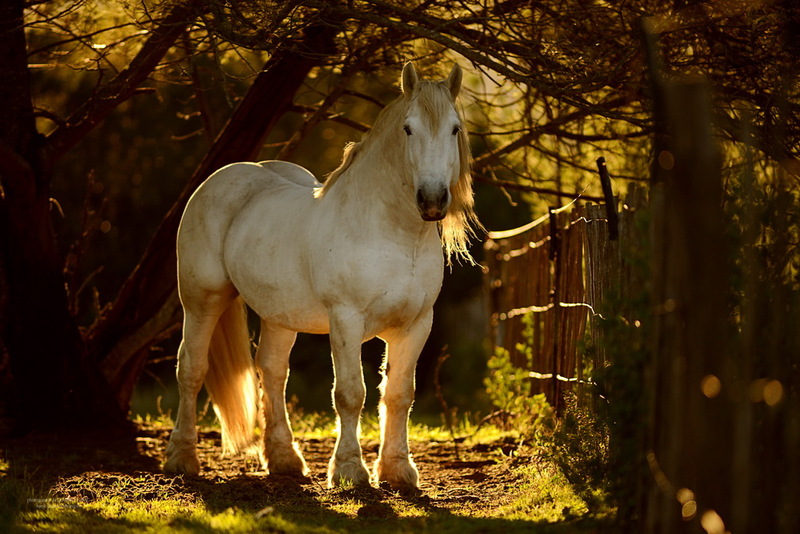 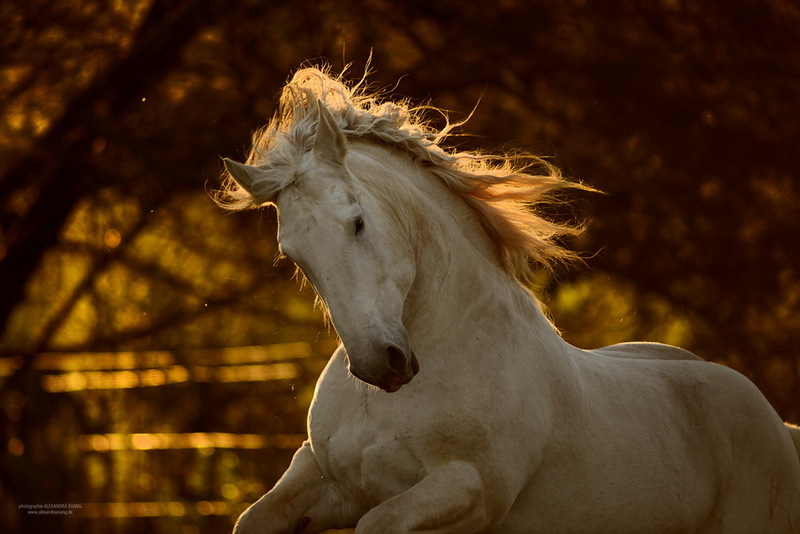 Unlike a lot of the other tall draft horses around the world he has the massive bone and muscle to match his height. 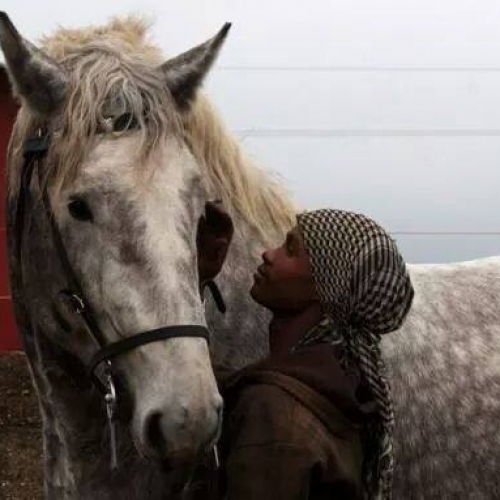 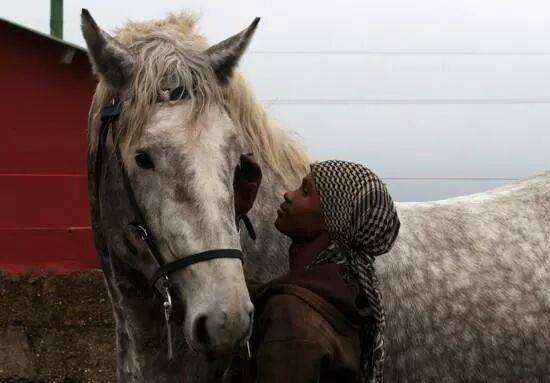 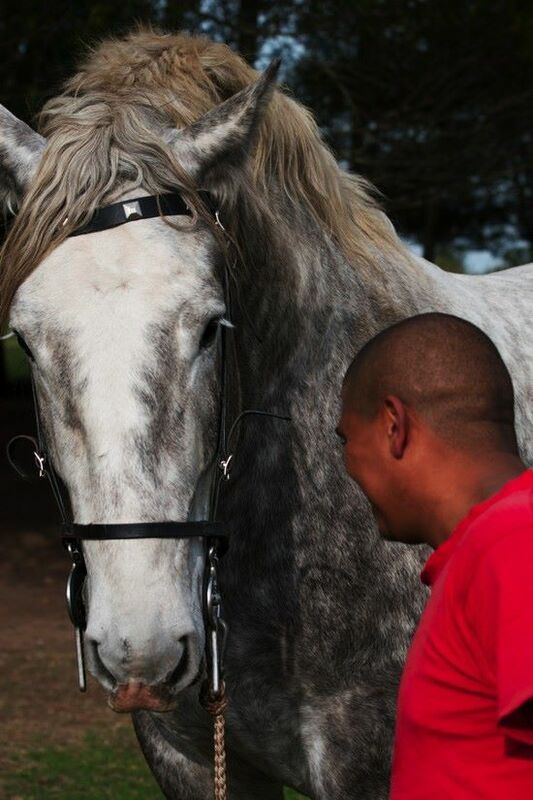 Percheron Colt Outeniqua Moon Shadowfax . 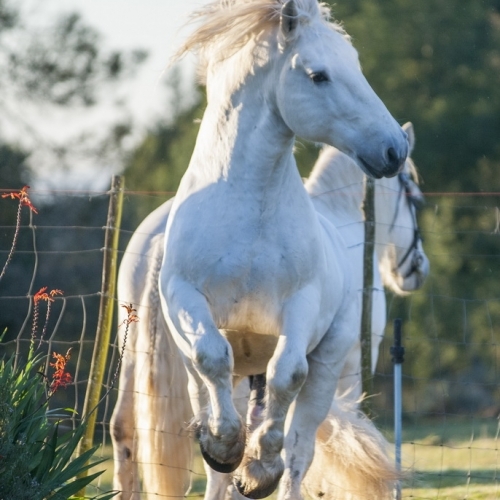 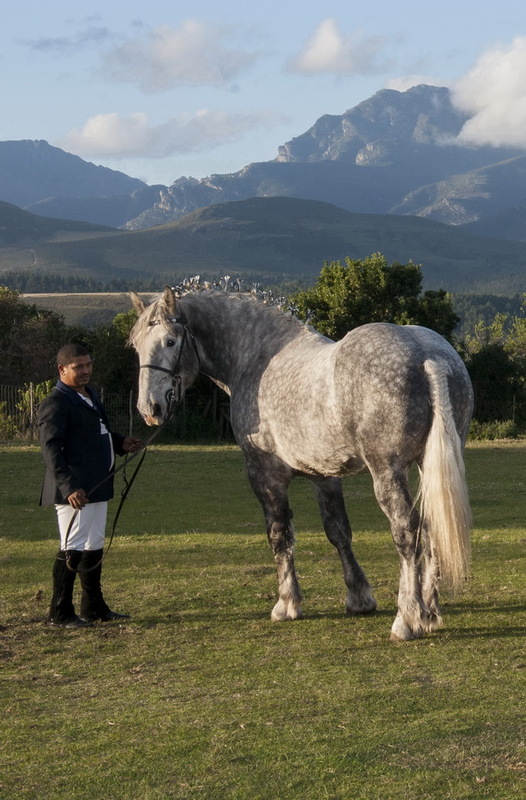 Outeniqua Moon’s main breeding stallion is a massive stallion only eclipsed by his son Shadowfax in height. 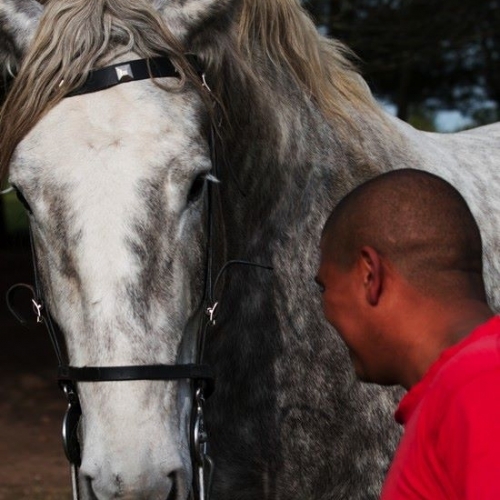 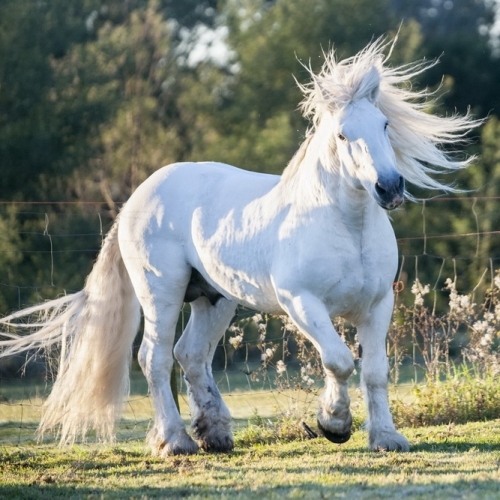 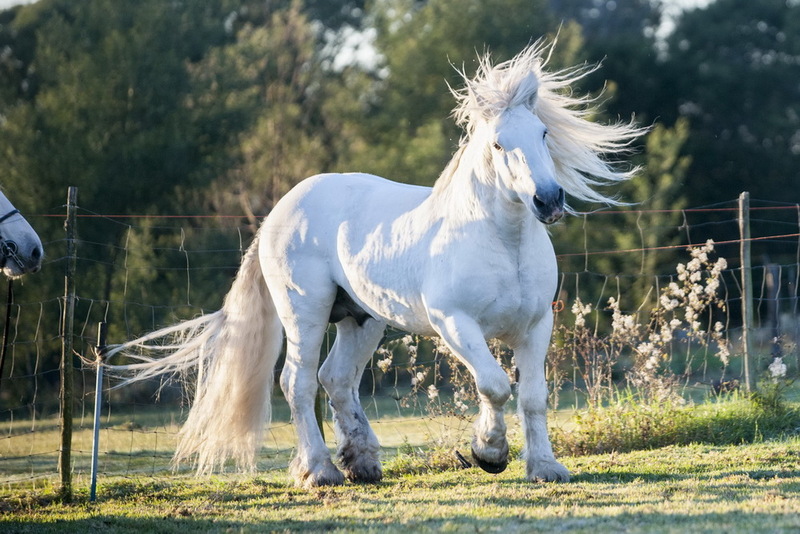 Greystoke is the darling of many admirers on the social media some of whom are calling him the Elvis of the Percheron world. 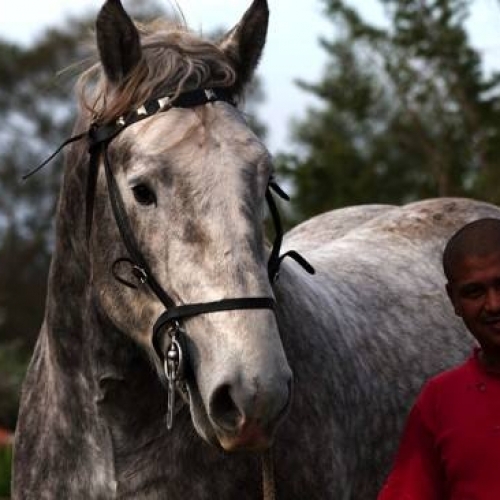 Standing 17hh and measuring 2metres around his neck and 50cm around his knees he is not small. 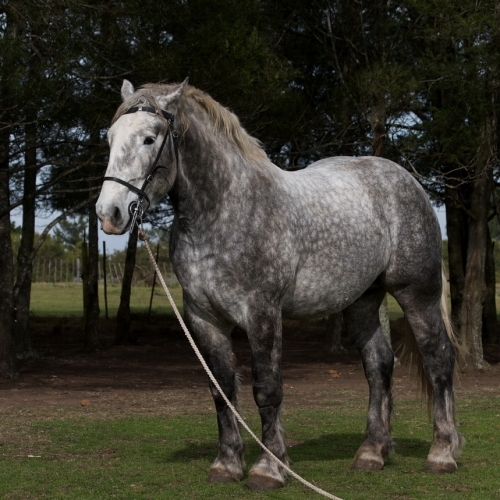 He has sired many colts and fillies and tends to throw size, and black hooves, into all of them . 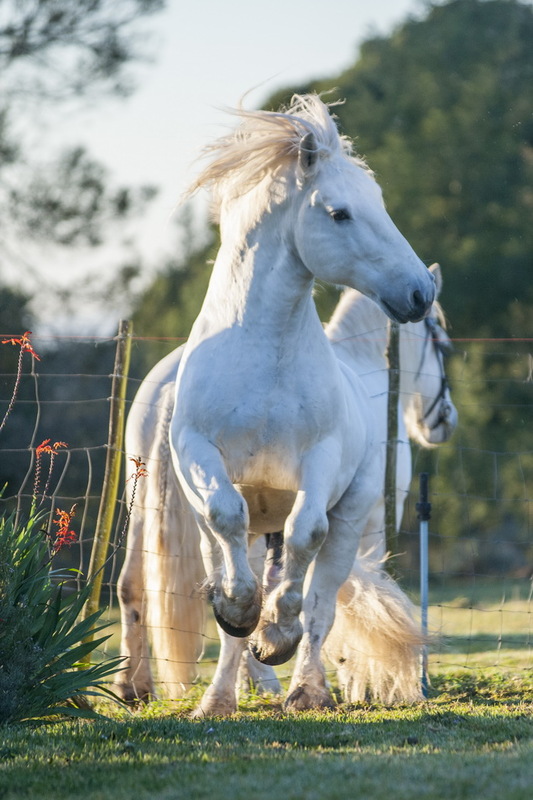 Copyright Outeniqua Moon © 2014. All Rights Reserved.